Mr Midshipman Easy by Frederick Marryat | What Would The Founders Think? If you are a Patrick O'Brian or C.S. Forrester fan, read this book. Even if you're not, read this book. 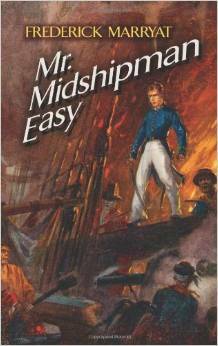 Mr Midshipman Easy was published in 1836, but the writing does not feel old and dated - merely a bit more sophisticated. It is the story of a member of the privileged class in Great Britain who joins the Royal Navy as a midshipman on H.M.S. Harpy. But this book is whole lot more than a mere naval adventure - in fact, that's almost secondary. Mr. Easy is rescued from a doting mother and a foolish father by a family friend, Dr. Middleton. This reader was hooked almost from the first page. Maryat's observations about men and women may not be politically correct, but they are sure to entertain. If you are a Patrick O’Brian or C.S. Forrester fan, read this book. Even if you’re not, read this book. Mr Midshipman Easy was published in 1836, but the writing does not feel old and dated – merely a bit more sophisticated. It is the story of a member of the privileged class in Great Britain who joins the Royal Navy as a midshipman on H.M.S. Harpy. But this book is whole lot more than a mere naval adventure – in fact, that’s almost secondary. Mr. Easy is rescued from a doting mother and a foolish father by a family friend, Dr. Middleton. This reader was hooked almost from the first page, in which the following description of the protagonist’s father, Nicodemus Easy appears. Philosophy is said to console a man under disappointment, although Shakespeare asserts that it is no remedy for toothache; so Mr Easy turned philosopher, the very best profession a man can take up, when he is fit for nothing else; he must be a very incapable person indeed who cannot talk nonsense. For some time, Mr Easy could not decide upon what description his nonsense should consist of; at last he fixed upon the rights of man, equality, and all that; how every person was born to inherit his share of the earth, a right at present only admitted to a certain length; that is, about six feet, for we all inherit our graves and are allowed to take possession without dispute. But no one would listen to Mr Easy’s philosophy. The women would not acknowledge the rights of men, whom they declared always to be in the wrong; and, as the gentlemen who visited Mr Easy were all men of property, they could not perceive the advantages of sharing with those who had none. However, they allowed him to discuss the question, while they discussed his port wine. The wine was good, if the arguments were not, and we must take things as we find them in this world. Nicodemus Easy was indeed “fit for nothing else” than talking nonsense. 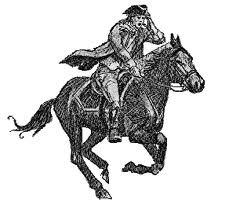 His son, Jack Easy, about whom the story revolves, was in danger of growing up without discipline and becoming a petty tyrant as well as fool. Dr. Middleton convinces his father to send him off to be schooled by one Mr. Bonnycastle, after a the young Easy throws a particularly vile tantrum and ends up scalding his father with boiling tea. He is able to prevail after assuring Jack’s father that the proposed tutor does not flog his students. Bonnycastle cures the young hero of his tyrannical ways and manages to inculcate some education. But it is not a painless experience as you might surmise from this exchange between the good Dr. and the Scholar. After enduring as much education as he could stand, the young man starts to become a likable, if still a foolish disciple of his father’s philosophical theories. By stages, Jack is disabused of his notions, through various experiences, which made this reader laugh out loud at numerous points in the story. After a couple such instances, Jack decides that it is only by going to sea that he can experience real equality. Initially, this reader wondered if Jack was going to end up being a detestable rogue like anti-hero Henry Paget Flashman of George MacDonald Fraser’s Flashman series. He does not. While he does have a gift for stepping in you-know-what and coming out smelling like a rose, unlike Flashman, Jack has a generous nature and good character beneath. I enjoyed this book so much, that I passed it on to Marcia and thought I’d offer her the opportunity to chime in on this review. Martin again has introduced me to enjoyable fiction. But with this book there is no doubt about where the author is going or his message. For the story of Midshipman Easy is more than a record of his adventures liberally salted with humor. As the author briefly interrupts the narrative to explain: “We do not write these novels merely to amuse,–we have always had it in our view to instruct, and it must not be supposed that we have no other end in view than to make the reader laugh.” He succeeds on both counts. All Jack’s adventures and misadventures being too numerous to catalog I will, as the saying goes, cut to the chase. After a riotous series of “cruises,” Jack is summoned home by Dr. Middleton who writes that the senior Mr. Easy has totally lost his senses and, in service to his philosophy regarding the necessity of equality in all matters, is about to give his estate and Jack’s inheritance away. Jack finds that is the case and attempts to persuade his father that his philosophy is false. … If all were equal, there would be no arts, no manufactures, no industry, no employment. As it is, the inequality of the distribution of wealth mat be compared to the heart, pouring forth the blood like a steam-engine through the human frame, the same blood returning from the extremities by the veins, to be again propelled, and keep up a health and vigorous circulation. Jack discovers that the philosophy that addled Nicodemus Easy’s mind is resistant to logic or facts, no matter how well presented. History from 1836 to today confirms that hasn’t changed. …., but we have Common Core!